I've been using some of my extra time [when not writing blog posts] this holiday season to spice up my demo reel. As an audio guy, some of my best work isn't very visually stimulating (you have to listen to it in order to appreciate it, duh!). As such, it is sometimes difficult to get people to focus on audio only content without associated visual stimulation. It's the holiday season [Or was]. During this short two week period I had a fair amount of downtime at my disposal. So once the family visits, the holiday shopping, the packing, the unpacking, and repacking is all over and done with. Whats a guy to do with his free time? Create short, over the top seasonal videos of course. Here's one of my favorite this year, consisting of CG fireworks scene over downtown Atlanta. 100% After Effects. Today's Georgia Traveler shoot consisted of some pickup shots for a short segment on a company called Biplane Rides Over Atlanta. As the name suggests, the company specializes in "birds eye" tours of the city, all from the cockpit of World War Two era biplanes. At first blush, one might be tempted to think "big deal, I've flown in a plane before." But after going up in the air, in an open air cabin, in a single engine biplane, my whole perspective of flying has forever changed. Seeing the town I live and work in every day from this new perspective was truely inspiring. I just started an internship at the Atlanta local, Georgia Public Broadcasting (GPB) station. I'll be working in the production department for the producers of Georgia Traveler.Georgia Traveler is a weekly half hour series, airing on Georgia Public Broadcasting that explores all corners of Georgia! Every episode hosts Kat Carney, Rickey Bevington, and David Zelski take you on a variety of journeys.I'll be helping the crew to keep track of schedules, create call sheets, and prep gear before shoots. So I'm not sure what posting links to my own interview, says about me. Self indulgent? Egotistical? Conceited? Well this is my blog, and the interview is content relevant to a blog about me. So here goes. As the amount of data I have to keep up with grows (personal data, business documents, and client's work), my need to keep track of a large body of data over long periods of time has grown. While my backup server I constructed back in 2008 has worked wonderfully for making sure all my current work is protected from drive failure. The mirrored raid has quickly filled with old copies of projects that I don't need to access on a regular basis. The thought of permanently deleting those projects just sends shivers up my spine. What happens when someone comes to me and says "remember when we did that project three years ago, well I want to do something like that again." I don't remember what details where in that project, and I'll need to have a copy that I can go back to and get inspiration and references from. So now that the weather has officially changed, I find myself reminiscing of the warmer days on set. I've had the pleasure of working on some very fun projects this past summer, with a great group of people. Here is a video mash-up of a few of them. So I keep seeing google sketchup pop up in conversations all over. 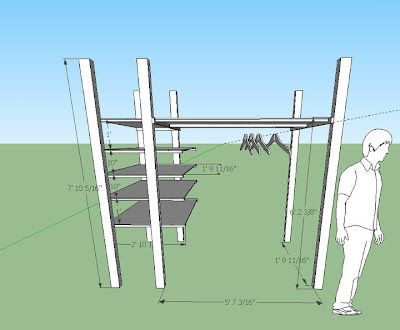 There was allot of talk about Sektchup's 3D Warehouse at Maker Faire Detroit; I've seen several projects use Sketchup to help work out design problems, and even google maps' 3d view is using contributed 3d models from sketchup. 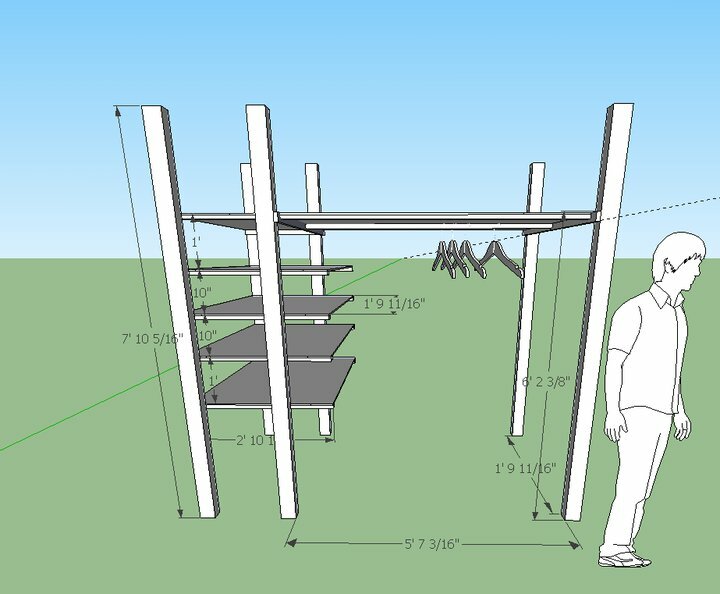 So what the heck is sketchup? Turns out Make Magazine's Maker fair is growing, so much so that this year the Henry Ford Museum hosted the first annual Maker Faire Detroit. and sure enough, I was able to get tickets. 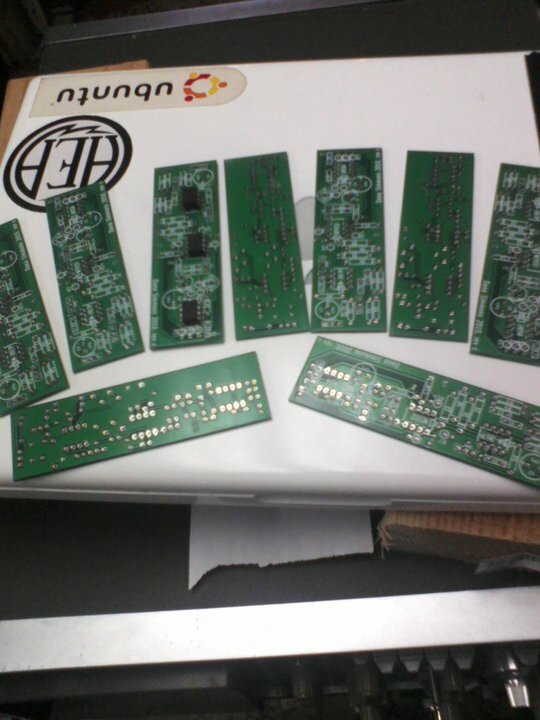 I place my order to BatchPCB.com for channel strip boards about a month ago. They finally arrived last week and I can finally get to make some real progress on this project. I was pleasantly surprised to receive a double order of my pc boards at no extra cost (which is good because I ordered exactly half of what I needed).